Ash vs. 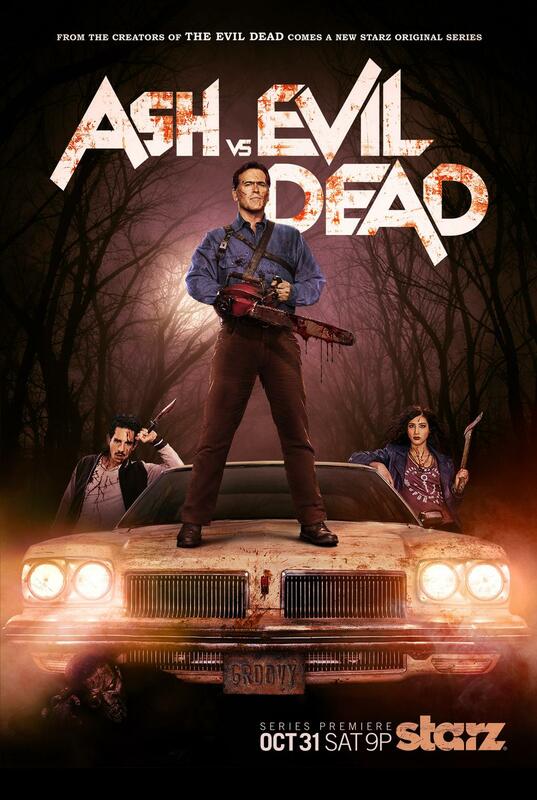 Evil Dead is revving up for its premiere in just a couple of months, and with an official trailer already released, it was only a matter of time before they unveil the poster for the trilogy-turned TV series. The poster is, of course, pretty groovy and features our deadly trio out to save the world! The first season of the show will feature 10 half-hour episodes and will premiere on Starz this October 31st, on Halloween. The cast is led by Bruce Campbell, Lucy Lawless, Jill Marie Jones, Ray Santiago, and Dana DeLorenzo.